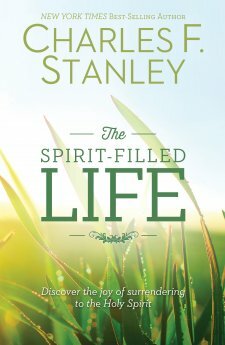 I did appreciate the care Dr. Stanley gave in proving that the Holy Spirit is an active, living part of the Trinity and God-head. I loved reading about how he came to this realization in his own life. My favorite part was when he recognized that all that was necessary to connect with the Holy Spirit was TRUST. That was awesome. In my review of this book, I was very hopeful that it would be one I would want to give away and share with others. However, I encountered so many of what I consider to be biblical inaccuracies, that I cannot in good conscience recommend it. The doctrine of Eternal Security and Premillennialism are scattered throughout, and scripture does not support these. Thank you for your honest review. I know that is not always an easy thing to do. Heather+@+My+Overflowing+Cup recently posted...Do We Really Believe It?